The Centers for Disease Control were called upon today to deal with waves of deadly pathogens afflicting the populations of the world, in three games of Pandemic. 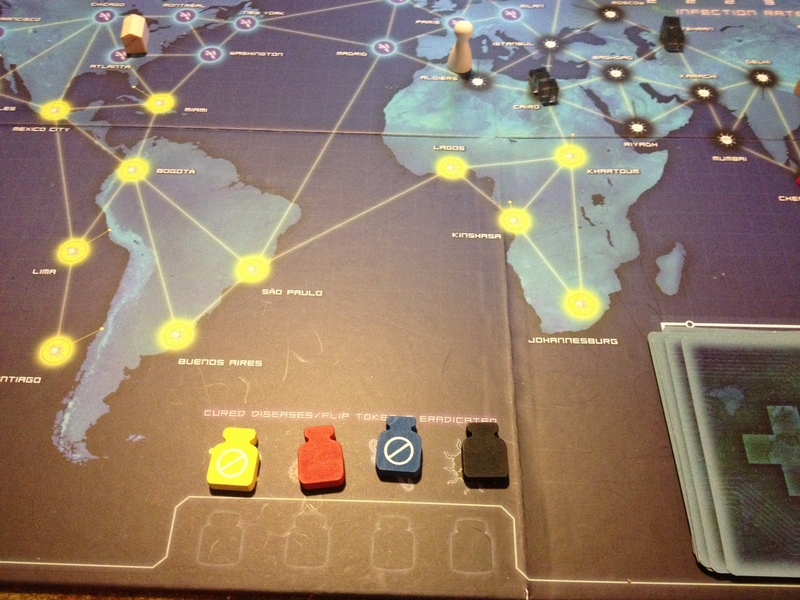 In the first (standard) game, Operations Expert Rex and Researcher Tom failed to cure two of the four diseases before time ran out for the world. Arghhhh. 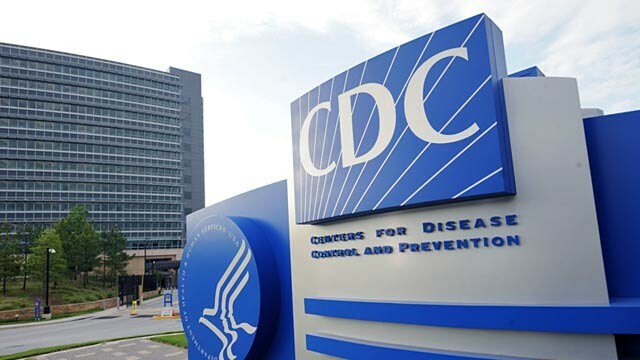 Viruses spread like wildfire, overwhelming the CDC. 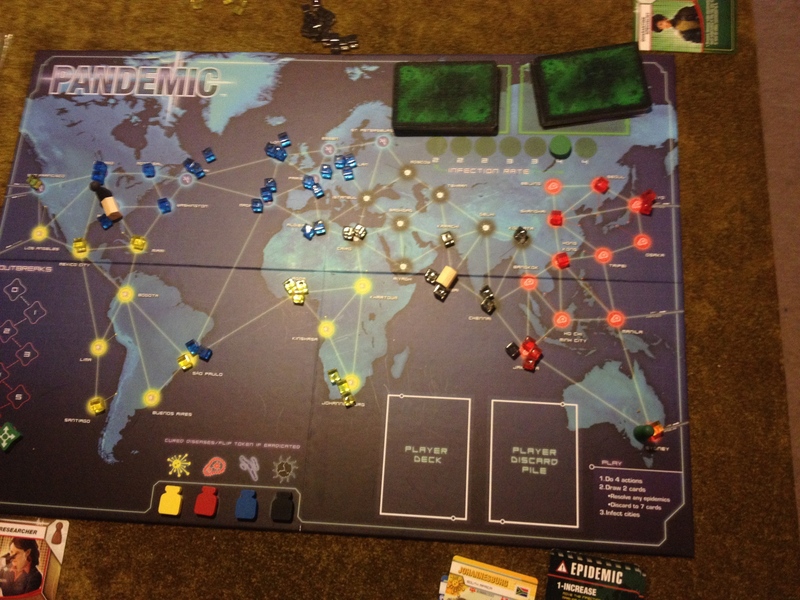 In the second (heroic) game, Contingency Planner Rex and Dispatcher Tom again failed to cure two of the four disease before time ran out for the world. Outbreaks were particularly common in Atlanta, suggesting that CDC itself needs better quarantine and pathogen-handling protocols. 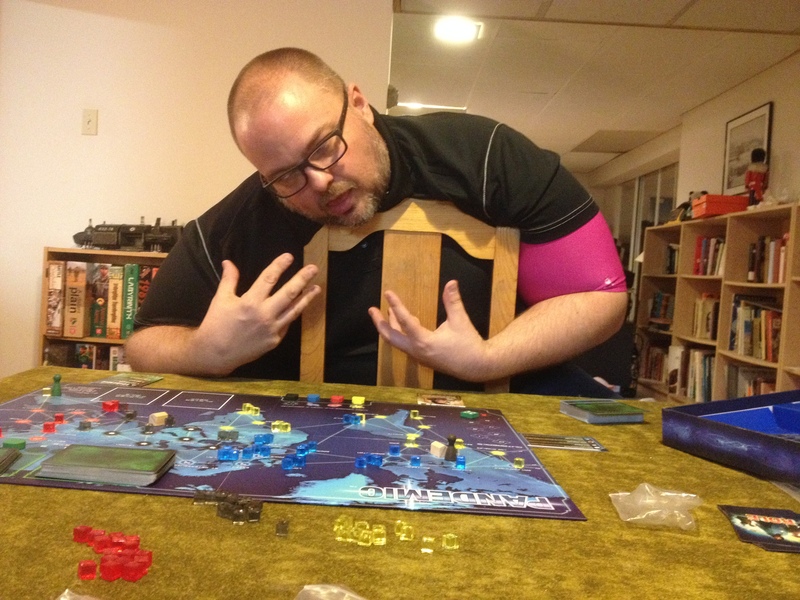 Dispatcher Tim succumbs to the virulent Blue Virus. In the third (heroic) game, Scientist Rex and Quarantine Specialist Tom were successful, curing all four diseases and completely eradicating two of them. Success! The CDC discovers cures for all four diseases, and completely eliminates all Yellow and Blue Virus from the planet.